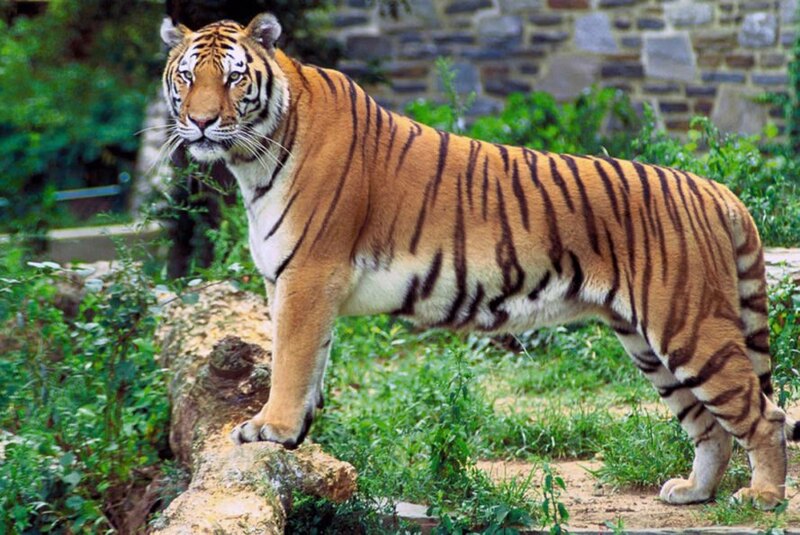 A new report from WWF reveals that tiger habitats in Asia could be devastated by planned infrastructure that would fragment their range and increase confrontations between wild tigers and humans. There are fewer than 4,000 tigers left in the wild, and if these new roads and railways aren’t planned carefully, it could completely wipe out the slow, painful progress conservationists have made to preserve the species in recent years. The report comes during what could be a turning point for the animals – halfway through an effort on the part of 13 nations to double wild tiger population. In 2010, there were only an estimated 3,200 left on the planet. As of this April, there are thought to be 3,890. If these Southeast Asian nations are going to reach the goal of 6,400 by 2022, the $8 trillion they’ve allocated to infrastructure projects in coming years needs to be sustainable and avoid critical areas where tigers live. Part of the problem is that it’s very hard to track tiger populations, so no one’s completely sure exactly where they live, or how to best avoid their territory. The WWF is advocating a few approaches for mitigating the potential harm to tigers: first, construction should be banned in areas that have been identified as critical tiger habitat; second, the countries involved should take a zero-tolerance approach to poaching; and third, underpasses and green bridges should be built into any new infrastructure to allow wildlife to cross roads and train tracks safely. This approach would also have benefits for humans living in these areas: for instance, the initiative could help protect local water supplies. While conservation may be the primary question on the mind of the WWF’s researchers, government officials should keep in mind that human beings have to be able to live sustainably on this planet, too. The report comes during what could be a turning point for the animals – halfway through an effort on the part of 13 nations to double the wild tiger population. A new report from the WWF reveals that planned infrastructure projects throughout Southeast Asia could devastate wild tiger populations.